Please help fund national vegan bus ad campaign. The Advocacy of Veganism Society hasn't added a story. ^ Click the Milestone link directly above this text to be taken to the CURRENT CAMPAIGN for New York. My name is Sarah K. Woodcock, and I am the Founder and Executive Director of The Abolitionist Vegan Society (TAVS). 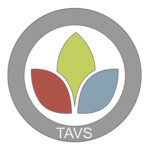 TAVS promotes veganism as an ethical position against animal exploitation, and we want to expose millions of people to veganism to help animals. Nonhuman animals are being exploited and killed by the billions per year which results in an unfathomable amount of unnecessary suffering and killing. But veganism can end that! Please help fund our national vegan bus ad campaign to expose millions of people to veganism. We will kick off our vegan bus ad campaign in Minneapolis, Minnesota (where Sarah lives) in January 2016. Then, we will use what we learn from that and expand it to other major cities in the United States including New York, Los Angeles, Chicago, Houston, Philadelphia, and more (depending on how much funding we get). In some cities, like New York City, where subways are more predominant than buses, we will do subway ads or other high-impact ads. With one 4-week ad campaign which will cost around $5,000, we will be able to expose hundreds of thousands of people to veganism. And when we do this in multiple cities, we will be able to expose millions of people to veganism. We are trying to raise a total of $50,000 to pay for vegan bus ads in 10 cities, to start with. Milestone #1: First $5k raised - Minneapolis - 100% FUNDED, ads start in January 2016! Vegans, let's do this! Please contribute everything you can, and/or share, share, share our campaign with your vegan friends, family members, and groups so we can end nonveganism! Thank you so much for your support and for helping animals! Q: How can I donate without a credit card? Q: What happens if the goal of $50K is not reached? A: If the goal is not reached in time, we will keep the campaign active until it is. And we can (and will) still use the funds we have raised to do as many cities as we can. We are thinking big and plan to keep it open until the goal is reached and do other cities and countries as well. Q: Will the displayed banner be the only one, or will there be different ones? I.e. with varying text and photos. A: This is a sample image that we may not use, but we will use different animals (e.g. cow, pig, chicken, turkey, etc.) and different phrases (ALL vegan phrases leading to vegan information). The Advocacy of Veganism Society hasn't posted any updates yet. The Advocacy of Veganism Society is managing the funds for this campaign. The Advocacy of Veganism Society is a verified organization.